Jo Craddock is heading home to Waimauku a happy woman, with two show hunter of the year titles in the truck. A former international swimmer, Craddock took up riding as an adult, buying her superstar Dawn just two years ago from Emma Buckingham. Yesterday that very special partnership delivered, with victory in the Prydes EasiFeed Horse Show Hunter of the Year and Amateur Show Hunter of the Year title classes. But the two headed into HOY in good form. The “gorgeous” chestnut mare, who is by Dream Boy out of Antipodes, always gives her best for her doting rider. Craddock admits she was extremely nervous heading into the call back for the amateur title. Craddock bought her first horse when she hung up her swimming goggles. Her swimming, which included New Zealand titles, Oceania Champs and World University Games, now seems like a lifetime ago. It helps that she shares that love with her 12-year-old daughter Jaimie, who with Minks placed fourth in the AHD Category A Pony Show Hunter of the Year. 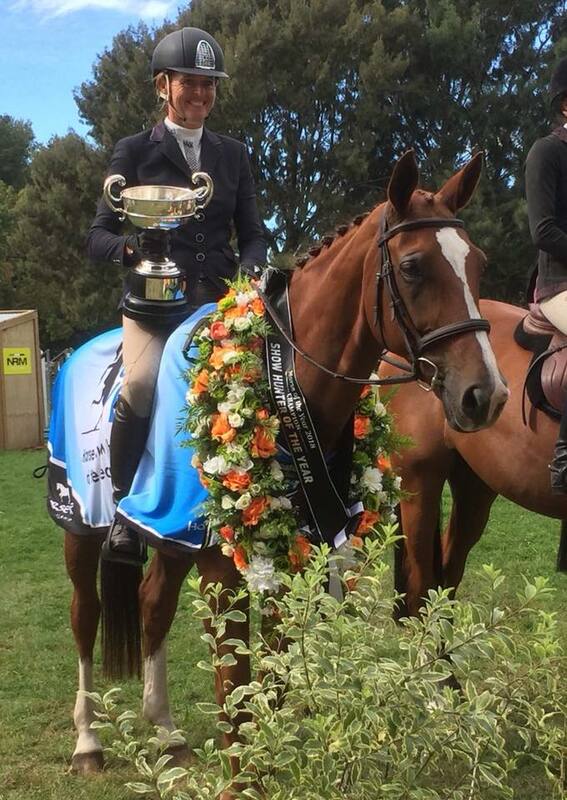 Pryde’s EasiFeed Horse Show Hunter of the Year: Jo Craddock (Waimauku) Dawn 1, Abby Robinson (Ohaupo) Hillman Hunter 2, Kate Cavanagh (Geraldine) Vibrance 3, Katelyn (Cambridge) GT 4, Helen Ensor (Nelson) Zactac Night n Day 5, Emily Twort (Henderson) Cameo KSNZ 6. Junior Show Hunter of the Year: Sally Ward (Waipukurau) Paradox 1, Claudia Thomas (Rotorua) Time’ll Tell 2, Claudia Thomas (Rotorua) Kinnordy Go Girl 3, Katelyn Harper (Cambridge) GT 4, Georgia Allison (Oxford) Samari Lady 5, Emily Twort (Henderson) Cameo KSNZ 6. 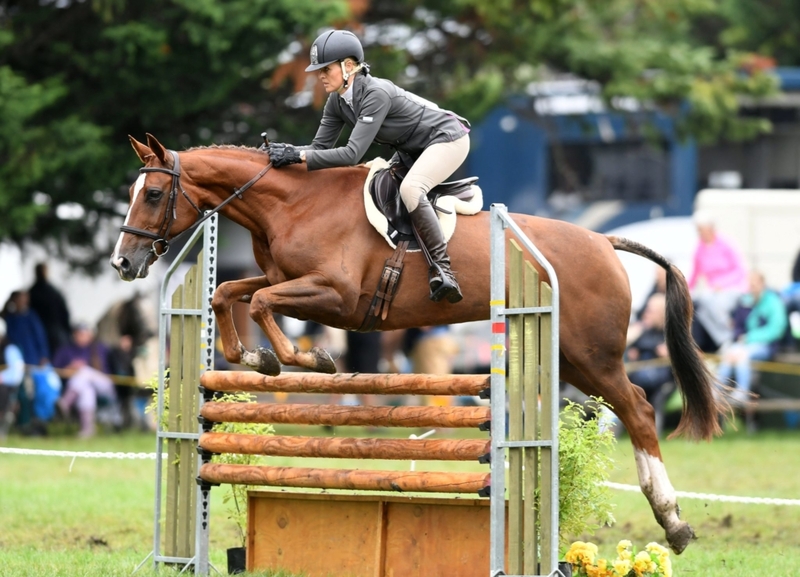 Amateur Show Hunter of the Year: Jo Craddock (Waimauku) Dawn 1, Laura Van Velthooven (Palmerston North) Sirocco Daisy 2, Stephie Joustra-Smith (Kinloch) Disney 3, Chloe Van Den Boorn (Auckland) Mirrabella Piper 4, Elliot Muller (Hawera) Arli TM 5, Laura Madden (Auckland) Sedbury’s Wholly Moses 6. Category C Pony Show Hunter of the Year: Harriet Laing (Leeston) Triple Star Picture Puzzle 1, Victoria Mitchell (Kumeu) Nickelodeon 2, Michaelee Head (Cambridge) Chantilly Lace III 3, Chantelle Smith (Palmerston North) Finch 4, Sarah Fisher (Waiuku) Summer Eclipse 5, Penny Borthwick (Masterton) Galaxy Gold Rush 6. Category B Pony Show Hunter of the Year: Penny Borthwick (Masterton) Ashbury Robin Hood 1, Amelia Newsom (Tauranga) Moonspirit Jitterbug 2, Georgie Wilson (Taupo) Summer Fiesta 3, Molly Smith (Timaru) Bexley Lodge Tinkabella 4, Charlotte Guy (Auckland) Tuff Enuff III 5, Tayla Munt (Auckland) Painterman 6. AHD Category A Pony Show Hunter of the Year: Molly Smith (Timaru) Little Mindy Lou 1, Jessica Blackburn (Rotorua) Spots Galore 2, Sinead Gordon (Waipu) Shadow Moonshine 3, Jaimie Botha (Waimauku) Minks 4, Katie Vennell (Hunterville) Ty Gwyn Quick Silver 5, Emma Bates (Rotorua) My Gemma Bear 6.